What does Islamic Prophecy say about it? 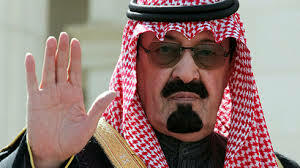 King Abdullah of Saudi Arabia died of pneumonia this week at the age of 90, an age few of his countless victims will never live to see, who have been severely lashed. Some women might live to that ripe old age if they aren’t caught and severely beaten again by Abdullah’s “thought” police for driving the family car. 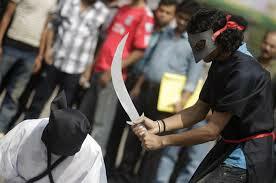 Mostly his victims were beheaded if accused of adultery, conversion to another religion. Then there were those other wretches decapitated in televised pubic executions with a scimitar faster than you can yell “ISIS!” because of medieval rumors of practicing sorcery or for just having Allah create your soul and stick it in a body that’s born gay. I mean, it’s enough to make me almost keep declaring Je suis Charlie Hebdo, although I’d rather now decry in French, Charlie Hebdo? Vive hypocrisie!! A hypocritical tyranny in France hides behind their enabling laws, something twisting free speech making some free speech more free than others. It all depends on which politically correct community you belong to. I mean, if you want to grant Charlie Hebdo magazine its right to peddle pornographic cartoons against Islam for a laugh, fine. Let Muslim women wear their shawls and burqas. If you’re going to tell one community in France they can’t wear their Islamic clothes, tell the French Jewish orthodox citizens to cut off their forelocks and stop wearing their yarmulkes and fedoras, capish? I see a lot of French people wearing Christian crucifixes when they enter government buildings and schools, but they’ll fine a Muslim man or woman wearing a turban or a scarf over their heads walking into same. I don’t support any of this. Let people wear and believe what they like as long as they tolerate others wearing and believing what they like. 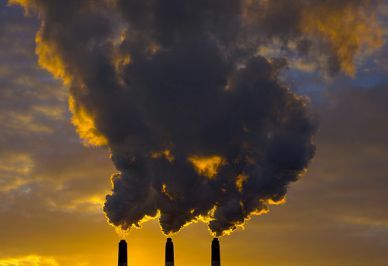 Heck, even the new environment committee chair, Senator Inhofe, ignores the science and believes global warming is a hoax like others think Auschwitz and gas chambers were a hoax. If things keep tracking the way they are, scientists will be fined under the charge of spreading factual evidence. Did you know you can be openly anti-Semitic in France, as long as you spew your racism at Arab Muslims? I bet some of you reading this don’t know that Arabs are as Semitic as Jews. But hey! Most of you reading this are Americans. We have no laws on the books yet silencing us for prideful ignorance. We’re a nation heading for a future where having facts and knowledge is a crime. Anyway, for now, we Americans don’t put authors in prison like they do in France and Germany for writing books denying the Holocaust. It seems that Europe hasn’t learned anything about those dark days of Nazis and Communists when morality and fact were legislated by a gun and a locked cell in prison. 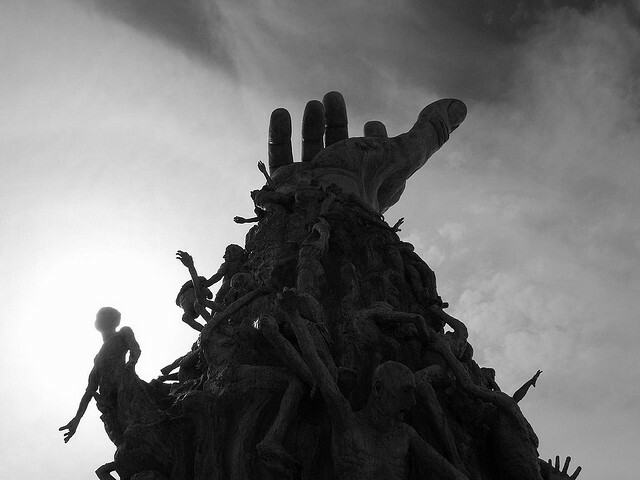 In a more enlightened age, a holocaust denier isn’t silenced for his fraudulent views. He’s laughed at, after you shower him with fact and documentation proving the Holocaust happened. In a more enlightened age, I live my truth. I walk in my own light of religiousness. I don’t convert you any more than the Sun converted the man in the raincoat. Once upon a time, the Wind and the Sun made a bet, to see which one could make the man below shed his coat. First Wind tried and blew and blew his gales. The man only held tighter to his coat. Then it was Sun’s turn. He just opened up his generously warming rays. The man smiled in the warmth and shed his coat on his own. That’s how you really change another person’s religion, by not changing it at all, by not blowing your windy laws in their faces. It only makes the Muslim woman hold onto her shawl harder. The warmth of your love and acceptance can create a situation where the other sheds their dogmas. You don’t seek this, though. There’s no agenda. Not bet between Sun and Wind. What people change in their lives they do so freely, as freely as you are allowed to walk freely in the light of your example. What lurks underneath a censorship by law, silencing a man or woman in the name of Secularism is just as Nazi Gestapo black behavior as what ISIS dictates, or that “other” ISIS-funding royal family in Riyadh, Saudi Arabia, dictates. While they hack off more head than the terrorists some of the family fund with millions of dollars of oil money each month. Free Speech is like pregnancy, it’s all in or nothing. You can’t be a little pregnant any more than you can be a little free. When governments legislate morality and religious behavior, they can call themselves democracies but being a little totalitarian is like being a little pregnant. I am an Anarchist, but not in the way that noble word has been sullied and misunderstood and become the slogan of shop store smashing hooligans without brains or a soul. 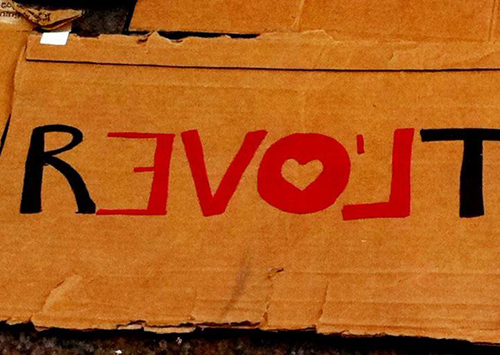 It will take 700-to-1,000 years of maturing our political systems yet I foresee the highest evolution of governance will be a form of Anarchy, as it was originally intended, where the free govern themselves, finding a middle way harmonizing and balancing the freedom of the individual with the responsibility of individuals living in community. This will take a level of meditative consciousness and a far deeper state of love’s compassionate understanding that the world collectively possesses at this time. When this light blossoms among us, it will light each human candle one individual at a time. Wake up, al-Qaeda dead, rub your eyes, get out of bed. 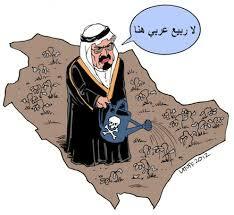 Wake up, the Wahhab King is dead. Yo-ho, let’s drag them out and sting his neck all get out. Ding Dong’ the Mujahedeen, sword up high, TAKE A SWING. Let them know Abdullah King is dead! OK, I’ll stop. 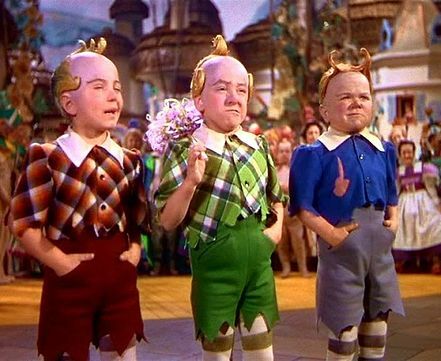 From Munchkins I move to Muezzins of the Shia sect—a gaggle of holy rollers in Tehran, that is. They have a sword of blood libel to pick with the Saudi King once dead and newly crowned. It’s ancient—goes all the way back to the beginning of Islam: a disagreement in the seventh century that created the divide of a Sunni majority of believers, with Saudi Arabia the guardian of the most sacred Islamic places of Medina and Mecca where all Muslims make efforts at least once in life to make pilgrimage. The other faction is the large Shia minority crowding mostly Iran. There are many bones of contention buried in centuries of desert sands that soaked up the blood of martyrs on both sides. Suffice it to say, the schism settles on the Caliph (Islamic “pope” if you will) who oversees all believers in the community of Islam, the Ummah. The Sunni believe the Caliph should be one wise in scripture and prayer who is elected. The Shia believe the same with an extra caveat, the Caliph must be from the direct bloodline of the Prophet, Muhammad, blessings be upon him. There’s other reasons, but that’s the “fundamentalist” one. 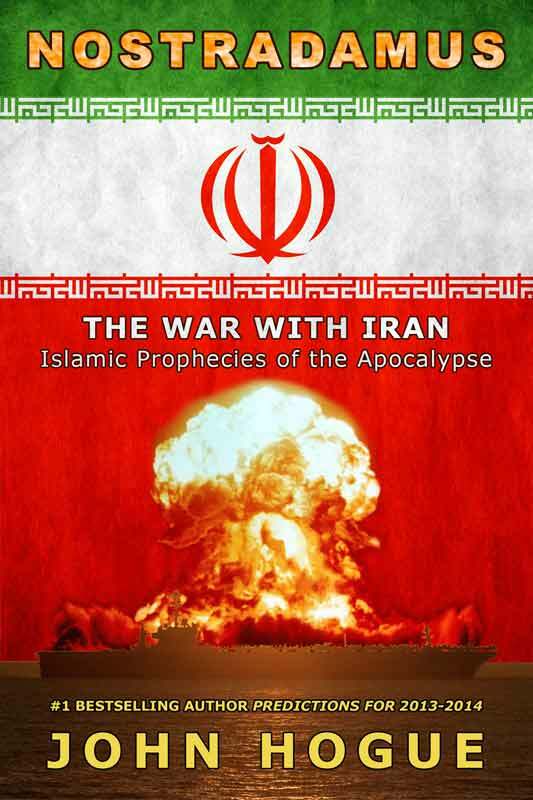 So now, in my book Nostradamus: The War with Iran—Islamic Prophecies of the Apocalypse, Shia evangels playing it up Hal the Hajj Lindsey with their own brand of Late, grating, Planet Earth doomsday proclaiming had what you might call a 700 Club-styled TV show in Iran. 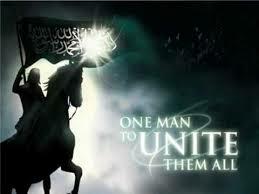 On it they cited folk Islamic prophecies attributed to Muhammad and the Shia founder, Imam Ali, in an attempt to prove that Imam Mahdi, the final, final prophet of Islam, will soon emerge from his long occultation after many centuries and hoist the black flag of holy war on a march all the way to Jerusalem. Please note that this segment of my review of their show was published on 26 September 2013, one year and four months before King Abdullah died. The brackets in text are mine from 24 January. We are told by the Iranian evangelicals on Teheran TV that the bombing of Iraq’s cities by US jets in wars of 1990s and 2000s was foretold and that Iraq’s holy cities, such as Najaf and Samarra will be Imam Mahdi’s world capital. Though they do not give direct quotes citing such, the Friday-School version of Sunday School Islamic televangelists added that the Hadith [recorded sayings and conversations of Muhammad] forecasts the first warriors of the Mahdi’s future army would be coming from Yemen where Shia are persecuted. Forewarnings abound that a dictator of Egypt will be killed and there will be much unrest there. 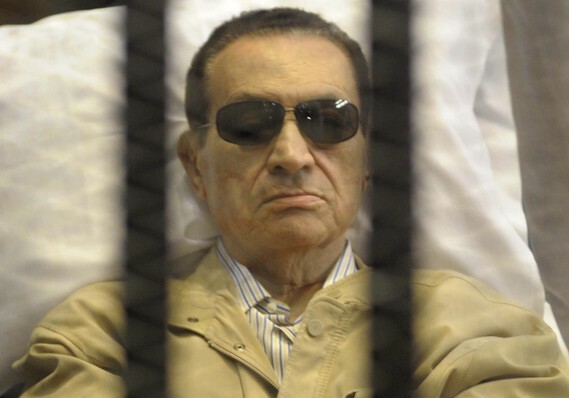 Hosni Mubarak, we are told, is the Egyptian dictator felled. At the time of this writing, he is in jail and fading quickly from heart disease and disgust at being ousted by his own military junta. The Iranian Holy-War rollers proclaim a Shia-based uprising spreading out of Yemen yet discretely overlook that Sunni apostate Usama bin Laden’s family originally hailed from Yemen, that the Sunni-loving, Shia-hating al-Qaeda has established a foothold in Yemen, thus fulfilling the prophecies of Muhammad and Ali that look beyond sectarian frictions in Islam. A man from Qom [Khomeini] will call out the people toward the truth. Storms will not weaken them. Those with iron hearts will surround him. They won’t tire from war and are not afraid of such. They depend on God. And tomorrow belongs to the righteous. …In the end of time, descendants of Imam Ali will join ranks, their hearts close to one another through the cause of Ruhollah [Khomeini]. I can see that the oppressed will rise from the East and request their rights and justice, but when it is ignored, they draw their swords and confront the enemy and that is how they succeed. But they are not satisfied until all will revolt to see the guidance of the last prophet and their killed will be one of Martyrs! Further revelations about the great black flag crusade surface purportedly from a conversation with Imam Ali and his followers, later set down from memory, though I suspect this prophecy has had a little evangelical hamming up helper with insertions far more modern concerning Israel put in Ali’s presaging mouth. To establish its government in Palestine, the Jews will come from the West. During this time, the Arabs and their forces will be separated from one another and are not united. No, not until the time that the Arabs rid themselves of the influence of others, take back control of their affairs, and once again have strong determination. 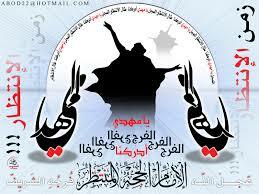 At that time they shall conquer the land of Palestine and the Arabs will be victorious and united. Extra forces will arrive from the land of Iraq with flags which have “Alghovah” written on it. The Friday-school Qur’an bashers toss out “Alghovah” without explanation of its meaning for Sunday-School Bible bashers to toss, turn, tense up about and tease on their blogs. The blogging amateur linguists among them generally believe it is a perversion of Yehovah (Judeo-Christian name of God) with the Muslim name of God—Allah. If correct that means it is a coy and Farsi-fundamentalist way to say “Allah” is inscribed on the black flags from Khurasan [Afghanistan]. That would certainly parallel the main thrust of Islamic apocalyptic prophecies both Sunni and Shia divined. The Houthis of Yemen are Shia, and so far their rebellion is spreading into a full-scale civil war. Underneath the surface, that rebellion situated on the soft underbelly of the Arabian peninsula is Iran’s response to the Saudi financing, training and arming of insurgents besieging Iran’s ally, the al-Assad regime in the Syrian Civil War. One civil war will begat another. 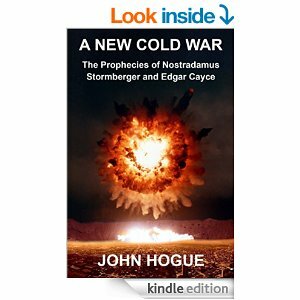 Read more about the oncoming Cold Armageddon in the Middle East. Perhaps a play on this much beloved movie title (My Big Fat Greek Wedding) is not the best metaphor, yet, maybe it is, in a funny way. The movie was very funny, even when it poked fun at the in-laws. There’s a festive energy in anti-Austerity rallies across destitute Greece as the polls indicate the Syriza Party may not only win the snap parliamentary election this Sunday but win it large—Fat, if you will. There’s not a lot of livin’ Zorba the Greek “large” in Greece these days, what with 25 percent of the entire population—50 percent of that young adults—out of work and scrounging for a life lived below the poverty line. Three hundred thousand families are about to be kicked into the streets from their homes. 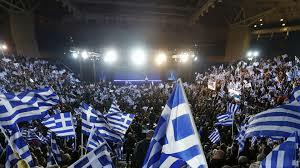 Debt in Greece is a staggering 175 percent over GDP! Anyway, the following passage from Predictions 2015, written on 1 January 2015 anticipated the big win, and the consequences are a very big “fat” shift and shakeup of the European monetary union. 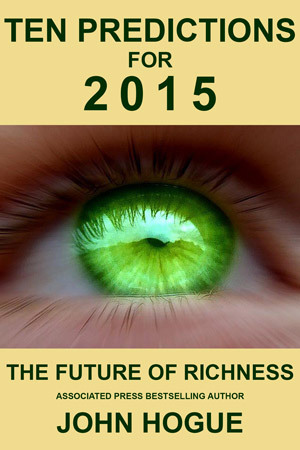 This new book that expands on what I touched on in the booklet Ten Predictions for 2015 and the Future of Richness, and it will be released prior or on the Chinese New Year around 19 February 2015. Therefore, I felt it was important to post for the record this forecast within its pages about the Greek elections tomorrow, Sunday 25 January 2015. To further confirm the prediction’s prescience I bcc-ed it on 18 January to thousands of witnesses who are members of my free, log-on log-off HogueProphecy Bulletin list. If you want to join the free list, click on Hogue. 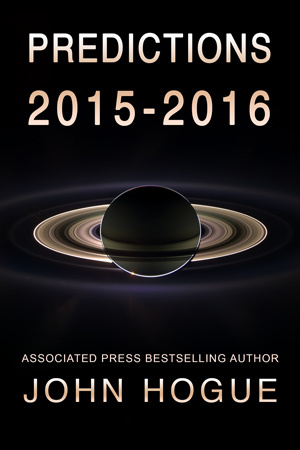 By the time this book is released, in early February 2015, we’ll all know whether this prediction has legs. The legs of 11 million people, that is—sons and daughters of Hellas, walking away from the tyranny of technocrats in Brussels and their bankers in Berlin who think bailouts and crushing austerity measures generate the employment needed to defibrillate the heart of the Greece economy. My oracle over the years has presaged categorically that it can’t. That Greece has only one direction to go, a very hard path but the right path: leave the EU and leave the euro monetary union. Sometimes you have to go through Hades, like Orpheus, down into the underworld rather than tarry at its abyss forever and let German bankers tie you to Pluto’s mountaintop where the German Eagle comes each day to eat out your liver, financially speaking. Time for Prometheus to take the terrible jump and like Orpheus, find a way in and out of hell. As I write this inserted addition to the chapter on 5 January 2015, I see in 20-days time a moment for jumping off Prometheus’ cliff for Greeks on 25 January. Alexis Tsipras of Syriza Party. Samaras retorts that default, bankruptcy and an exit from the EU— otherwise Hogueishly defined by EU newspapers as a “Grexit”—would be the outcome. 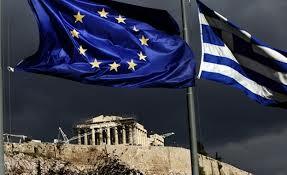 Watch Russia and China come to Greece’s aid when it abandons the Euro Monetary Union between now and 2015. Russia will set up a naval base in Greece. 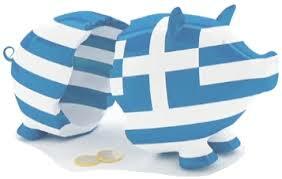 Both Russia and China will shore up the Greek economy. A contraction of the euro union is a travail it must undergo and can no longer avoid or delay, any more than a mother in labor can stop her contractions once they begin. A better future for the European economy requires it shed Greece and Italy and face fact. The euro central banking system can’t find the money it doesn’t have to pay the 2.4 trillion euros to keep them in the union. To survive a lingering drought, sometimes a tree must pinch off nourishment to large branches, letting them dry and slough off so its core can survive to grow again. The euro union is that tree. It must shed Greece, shed Italy and perhaps even shed Spain, Portugal and Ireland too. The core must live to grow healthy again when a better financial climate at last returns. Saturn the restrictor in Scorpio will provide these contractions to the euro union between October 2012 and December 2014. Beyond the 2014 astrological deadline, Saturn does give this hard decision for the EU and Germany, its banker core, one more three-month nudge in the issues it rules in Scorpio, banking, money, monetary unions, and investment for the future. Since Saturn is prominent in the EU birth chart, the time has come this summer 2015 to either begin the shedding of nations or save the euro union by erasing debt, just like Germany enjoyed in 1953. How do the stars align on Election Day 25 January 2015? Well, there’s the Moon, Mercury and Venus all in different places in Aquarius. Expect an unfocused, general desire rising in voters for freedom from the EU. Expect Aquarius’ ruler Uranus, in a pickle of a negative transit of Aries, make an impulsive surprise vote without a lot of thought to the consequences but in the spirit of rebelliousness flip off the EU and Germanic authorities with just enough votes to bring the Euro skeptics into power. You’d think there would be apathy too, what with Mars and Neptune in murky Piscean waters of emotion and muddle, yet these are just off a two-degree orb of a harmonious trine aspect. With this astrological influence in mind, imagine what could happen in the secretive ritual of casing one’s ballot. People will make decisive decisions feeling protected by their privacy. I think those opposed to leaving the EU, like Papandreou, Samaras, and their quick fix of an alliance to keep the pro-austerity government from falling to Syriza, are in for some big surprises. 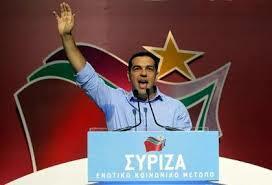 The Syriza Party is going to win. Greece is leaving. Let me say again, it is coming. The “Greece-ing” of the wheels of change and breakup. It can be delayed. George Papandreou might form a wedge party that shoves power back to the pro-Austerity parties, but this is only a delaying action. 2015 is the year Prometheus at last has one beak full too many of his liver torn out of his belly by greedy Germany bankers. Like the famous myth, the liver grows back again each night—just like Greece’s meager economic earnings—but this pecking and vulturing will never help Greece live again, just linger, economically comatose. Greece will leave either setting the avalanche of other austerity money-strapped nations in motion in January or later when the government falls apart in March 2015, and that road back to the drachma will precipitate the breakup of the EU monetary union. The EU will begin sloughing off its Mediterranean debtor members like I said above, years before, as a tree in a drought cuts off its juice to some limbs so that the core can live to grow and expand another day. Greece will be walking through the underworld until 2017 and when it does it will belong in the sphere of economic influence of Russia and China. As soon as Greece leaves the EU, watch Vladimir Putin open the gates closed by cold war sanctions and Russia’s counter sanctions to Greece’s agricultural products while the ban on Euro goods stays active for the rest of the EU. Between now and 2018-2019, watch the Russo-Chinese move into the debtor nations of Italy, Spain, Portugal, when they also leave the monetary union. The denuded “Tree” of the EU will recover and when it does its economic heart, Germany, will look eastward to Russia and China, not westward to America no matter how much Washington’s faux cold war tries to drag Europe into its sphere of influence, pinching off Russia in a fait accomplis forcing Europeans to buy US goods. Want to read more, get on the donors list to receive an exclusive PDF download of Predictions 2015 with its extra chapter, entitled: The Fire and Ice Prophecies. Click on predictions for 2015. From Cold War to Hot War? 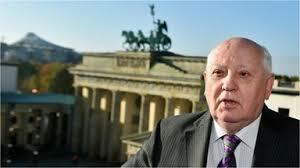 On the eve of the 25th anniversary of Germans breaking down the Berlin Wall, marking the beginning of the end of the Cold War, Mikhail Gorbachev, was in Berlin. The last Premier of the Soviet Union voiced his concerns to the press that a new cold war had begun. (See Berlin Wall.) Two months later on 9 January 2015, Gorbachev in an interview with the German news magazine Der Spiegel warned that tensions between Russia and European powers over the Ukraine crisis could instigate a major conflict or worse. “A war of this kind would unavoidably lead to a nuclear war,” the 1990 Nobel Peace Prize winner mused. The atomic and thermonuclear weapon inventory of 2014 reports that NATO’s infernal war chest consists of America’s 7,506, plus France’s 300 and the United Kingdom’s 250 warheads, adds up to a grand total of 8,031 warheads pointed at the Russian Federation’s total of 8,484 warheads. Thankfully, it’s not the 45,000 Soviet and 32,000 US warheads on a hair trigger at the peak of the last cold war. Moreover, the Center of Arms Control and Non-Proliferation report the strategic and non-strategic deployed and war-ready weapons in NATO’s doomsday quiver number 2,372 against Russia’s 4,684. Do not let that assuage your illusions like it does leaders in Washington and Brussels. It is enough nuclear Armageddon bang to kill your civilization and if Nostradamus and other seers behold the future dangers right, it’s enough to kill off two-thirds of the human race! It is frightening to fathom just where this gathering blindness in leadership will lead the blind world next. History doesn’t repeat itself. Stupidity does. Sometimes a radical agent must expose it. Sometimes one has to look ahead, look into the future, aided by the greatest seers with clear forecasts and documented success at anticipating our next stupid steps before we march blind-eyed, bushy tailed like they did back in 1914 knuckle-headlong into a civilization changing—or this time “ending”—catastrophe. Will 2014 be the same as 1914? Are we that stupid again? At this moment in time, the answer is “yes.” Will we be stupid in the next moment? That depends on you and enough human beings becoming aware of what Gorbachev and a small gathering of what I call World War Prophets foresee is ahead of those who walk with their eyes wide and blinded by their leaders and this poor excuse four journalism in the West called our mainstream media. In my forthcoming book, Predictions 2015-2016, there sits the following vision. Like Gorbachev, I am quite concerned that efforts to peacefully resolve the Ukrainian crisis are only more a smokescreen pumped by the Kiev regime with NATO support. This is just a respite in the civil war brought on by winter. It’s not a time for peace. In winter, the US sends hundreds of millions of dollars to Kiev’s military re-armament and training. In response, Russia sends in weapons and “volunteers” to fight alongside the separatists. 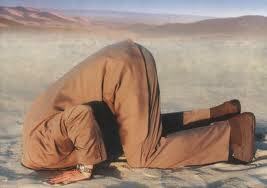 The growing cognitive dissonance in the West will meet a critical mass of moral hazards starting in 2015 through 2018. In this timeframe, I see imprudent leaders, mostly from the West and NATO, following the Military Industrial Complex’s old Soviet containment business model where you split Ukraine into two Eastern (Russian allied) and Western (NATO allied) halves. Like East Germany, the Novi Russians will be a mini version of the last cold war’s Warsaw Pact, an allied Russian satellite inviting Russian troops to base themselves in the Donbas region to counter what will first be initiated in Western Ukraine by NATO being the first to base its troops there. Russia will be drawn in to do the same and there you have the world going back to the future. Two Cold War military alliances with soldiers, tanks artillery and tactical nukes on the ground, eyeball to eyeball on a barbwired and mined frontier, just like along the Elbe River between East and West Germany. 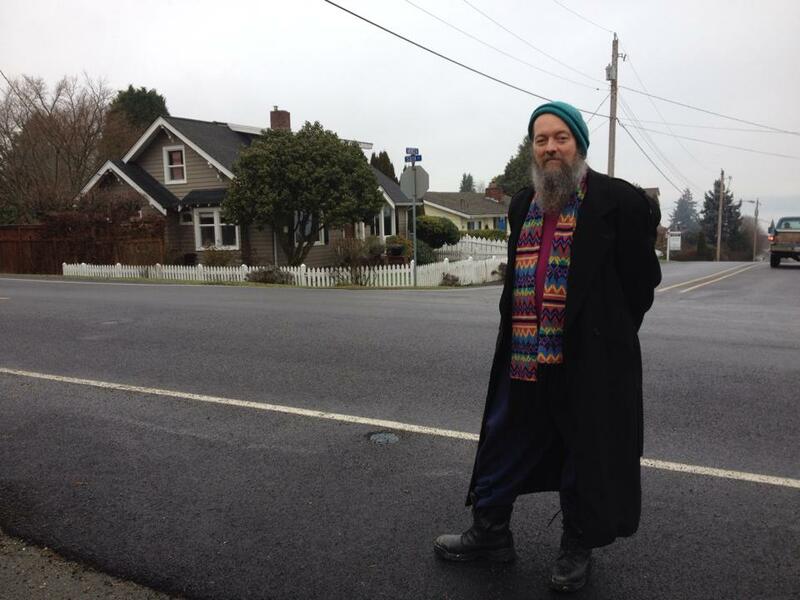 John Hogue “out standing” in his village on the Pacific Northwestern Island of Tsha-Kole-Chee. Do you sink into paralyzing fear and despair when your smoke alarm suddenly starts screaming in the middle of the night? No. You rise up. You save your children. You live. The prophets can be that smoke alarm. Rise up. Awaken to the danger, and put out the smoke before there’s fire. To me, this implies that Jews are just as Semitic as Arabs, which in my understanding of history is not true. In fact, I believe less than 10% of the Jews in Israel or the world are Semites or Hebrew derivative. I find it even more ironic that this indicates that the Jews are the ones really anti Semitic. I will only be 90 years young this year, so what would I know? Thanks for enlightening me on an interesting point that I clearly overlooked. I will rectify that now because as others think anti-Semitism is directed against only one Semitic people, even I presumed that Jews are ethnically Semite as Arabs. That’s how deep and unconscious is our programmed habit of racial profiling. It comes up again when one hears “Israeli” and immediately only thinks I’m talking about Jews. There are 1.5 million “Arab” Israelis—citizens of Israel forgotten and filtered out by our programmed mindsets. Personally, I think its great that Jewish people have picked up genetic and cultural aspects from being a world-traveling race. I think the more we interact the better, the richer we could become when all races blend into one human race. Technically speaking, my current vehicle in this incarnation has a constant genetic “thread” of Viking in it. To call me just a Viking denies all the other rich elements, including that I’m also part English (Yorkshire “Viking”), Dutch (German Viking), and German (though with one “n” in Hoffman, making me German-Jewish). The name “Hogue” is Norman (French “Viking”), plus there’s the Ukrainian Mutzes (Ukrainian with a return to the strain of “Volga” Germans and Jews again) and there’s Northern Irish running through my veins as well, goodness bless me. I find the conditioned mind of people overly identified and pushing for racial purity is often motivated by the habitual symptom of a secret self-loathing. Deep down, they feel they’re just not “pure” enough. Hitler’s self-loathing led to the Holocaust because he thought he had Jewish blood in his family and had to take his revenge. Actually John Toland did research on this matter and it is more likely he had Czech heritage and was part Slav. Now, consider the Zionist Supremacist. Could the genetic globalization of the Jewish gene pool be a dark secret motivating these racists to be rabid anti-Semites when they persecute Arab Semites in general and Palestinian Semites in particular? Is it some kind of racial envy? Arab Semites are, as you say, retaining far more of their Semitic heritage than those who tear their shirts open in Israel calling anyone critical of Jewish bad behavior an anti-Semite? Go a layer deeper in meditation and you uncover a psychological racism lurks there. That’s a mindset you get spoon fed as a child. You psychologically hate the other races your parents were trained to hate; moreover, you adopt a collective program in your worldview that is “Jewish” apposed to “Arab.” Muslim apposed to French, and so on. That’s why stereotypes live on, because they have some grounding in the fact that people are trained to be a part of national or racial “herd” mentalities. A new humanity will end carrying over this habit from one generation to the next. The science of self-Observation—Meditation—will be their main tool for cleansing people of their racist habits. If you resonate with what I’m saying, you can take this tool of Meditation I’m offering you right now. Just Contact Me and leave in the subject line one word: Meditation. I will then email you information and links to the meditation techniques I use, and information about my teacher. This entry was posted in Predictions for 2015 and tagged 2015 forecasts, 2015 predictions, 2015 prophecies, 700 Club, Afghanistan, al-Assad, al-Qaeda, anti-Semitic, Armageddon, Assad, Caliph, censorship, Charlie Hebdo, climate change, Climate change deniers, cold war, communists, ding dong the witch is dead, EU, forecasts 2015, Gestapo, Gorbachev, Greece, Greek election 2015, Grexit, Hadith, Hajj, Hal Lindsey, Hogue, holocaust, Holocaust deniers, Houthis, Imam Ali, Iran, ISIS, John Hogue, Khomeini, Khurasan, Kiev, King Abdullah, Mecca, Medina, Middle East, Mikhail Gorbachev, Muhammad, Munchkins, My big fat Greek Wedding, NATO, Nazis, new cold war Der Spiegel, Nostradamus, Osama bin Laden, Palestine, prediction, predictions, predictions 2015, Predictions for 2015, prophecies, prophecies 2015, Ruhollah Khomeini, Saudi Arabia, Saudi King, Shia, Sunni, Syrian civil war, Syriza, Syriza party, Ukraine crisis, Wizard of Oz, Yemen, Zorba the Greek. Bookmark the permalink. Post a comment or leave a trackback: Trackback URL. I bet if the Russians start eating sunny Greek produce they’ll leave off with the Ukraine, be too busy dancing. Hurry up, send Putin a Mediterranean fruit basket, nice note asking if he wants to play guitar in the next jam.